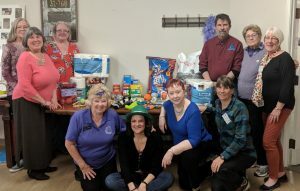 At their Spring Conference, members of the GFWC Oregon Valley District assisted Three Rivers Humane Society (TRHS) by collecting items from their shelter wish list. This 501c3 organization was created to ensure a better life for the animals of Central Oregon and to help put an end to pet overpopulation in the area. Executive Director Stephen Drynan was on hand to meet with members and gather the supplies. TRHS is currently caring for between 80-90 pets per night at the Madras facility, so the pet goods and supplies are much needed. table full of donations for Three Rivers Humane Society. Pictured with Stephen Drynan, TRHS Executive Director. 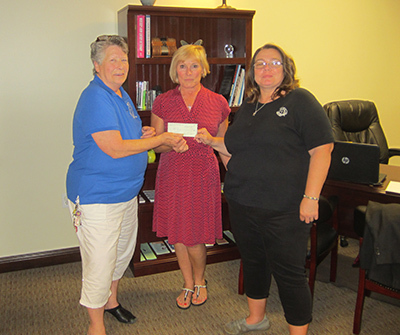 The GFWC E.S.O. 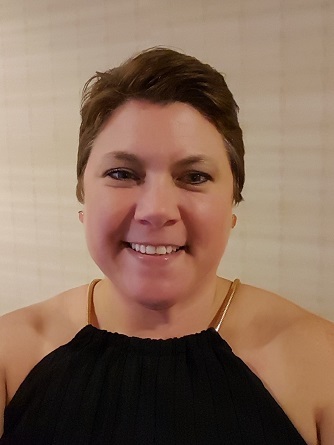 Regional Readers (Indiana) answered the calls for two Grand Initiatives at their March meeting. 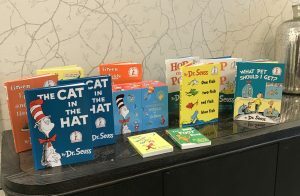 They collected enough Dr. Seuss books to donate them to two schools! They also donated 26 pairs of shoes for the Soles4Souls campaign. Members have pledged to drop off more shoes as the weather gets warmer and closets get cleared up for new shoes. 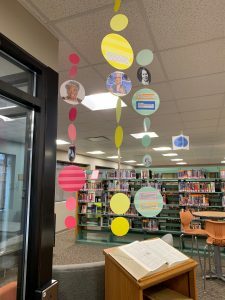 The Reed City GFWC (Michigan) celebrated Women’s History Month by creating a display at the library of women who have made their mark on history! Leaving grade school and coming to the middle school can be a little overwhelming, so the Munster Junior’s Club (Indiana) brought over 500 kids together to team-build, laugh, cry, and bond. They helped the kids make “Fluffy Necklaces” made of yarn with 20 red, white, and black strings attached to it. The concept is that anytime they pay a classmate a compliment, they give them a string, and so the goal is to get rid of all the strings! It’s a great icebreaker exercise to play throughout the day. The kids also had a station where they could decorate mags for Meals on Wheels, where they were asked to think of other ways they could volunteer in their life, such as by volunteering at the local animal shelter, being a volunteer tutor at school, or collecting bags for the homeless mats the club makes. At the end of the day the kids gather in the gym to celebrate their new friendships and new attitudes!